Image: Robert Alexander/Archive Photos/Getty Images. With all of the rules and regulations currently in place, air travel can be frustrating. If you are one of the 15 million Americans with a food allergy, it can be extra stressful. The good news is that one airline is hoping to make the process a little easier. 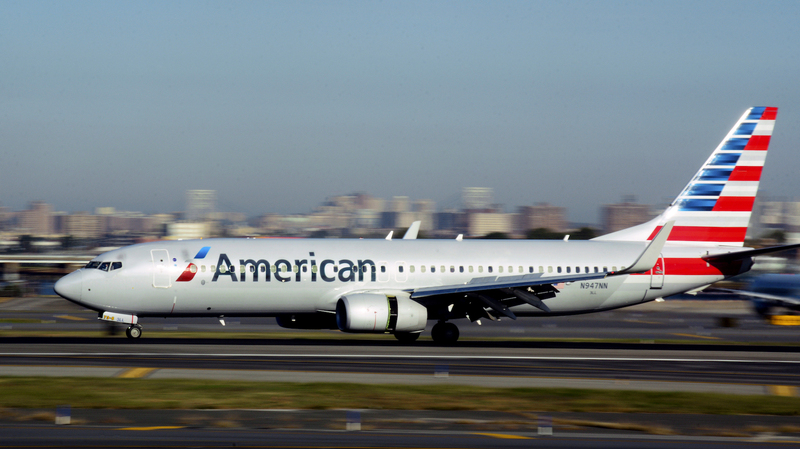 American Airlines will soon allow early boarding for passengers with peanut allergies. American Airlines passed the new regulation on Tuesday, and the policy will take effect on Dec. 12, when the company's flight-service manuals are updated. A spokesperson for American told Today the reason for the change was simple: "Customers with nut allergies who would like to board flights early to wipe down surfaces may ask to do so at the gate… [because while] we do not serve peanuts in flight, we can’t guarantee our customers won’t be exposed to peanuts or other tree nuts during their trip. We strongly encourage those with allergies to take all necessary medical precautions before flying." American is not the first airline to offer this accommodation. Delta also allows early boarding to travelers with nut allergies, and in July, Southwest announced it was no longer serving peanuts due to allergy concerns. That said, it is nearly impossible to ensure a locale is allergy-free — specifically a small, tightly packed space like an airplane. However, this simple accommodation is sure to make a difference for many nut-free flyers.